On Sale Now! 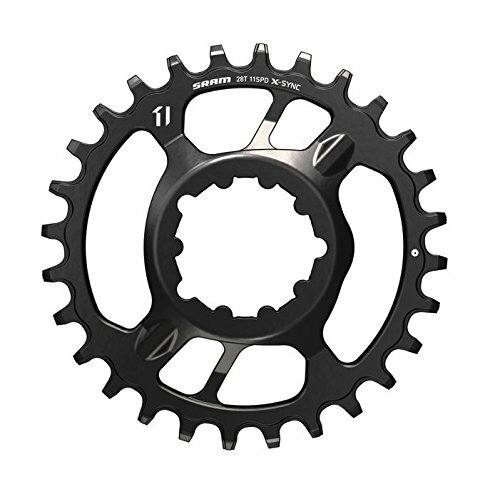 Save 10% on the SRAM X-Sync Steel Direct Mount Chain Ring 28 Teeth 6mm Offset, Black by SRAM at Kerinci. MPN: CW8027000. Hurry! Limited time offer. Offer valid only while supplies last. Tall teeth with alternating tooth profiles hold the chain amazingly well and still provide space for mud to clear. Color: black. Material: steel. Tall teeth with alternating tooth profiles hold the chain amazingly well and still provide space for mud to clear. Color: black. Material: steel. Chain ring BCD: SRAM GXP direct mount. Defined color: black. Ring position/Type: chain retaining single ring. Drivetrain speeds: 10. Drivetrain speeds: 11. Tooth count: 28.